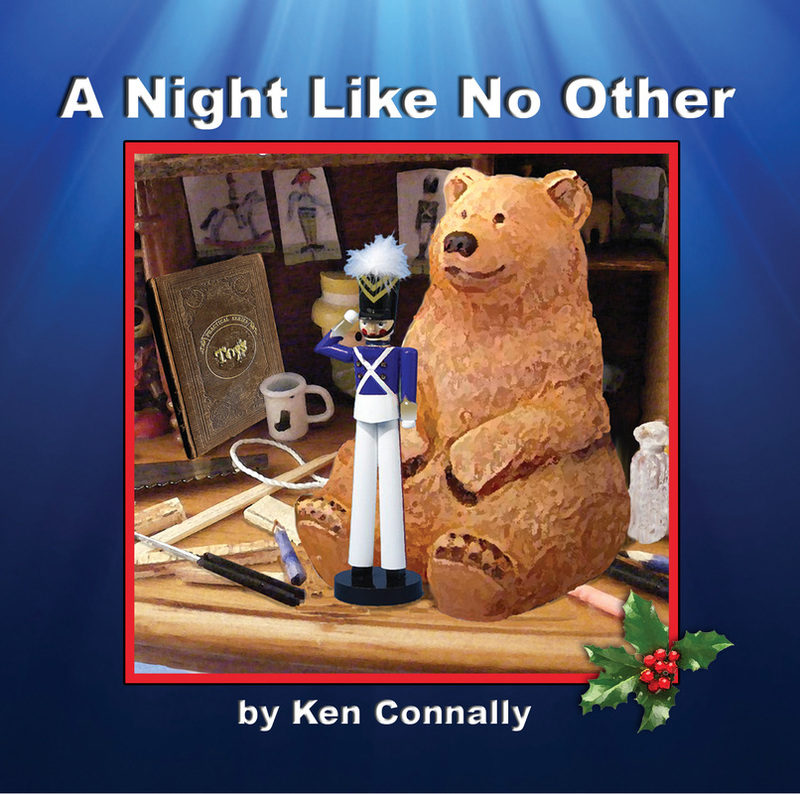 What happens when a toy soldier, named Toby, spends his first night in the Creator's workshop? Ignoring the advice of an old wooden bear, Toby's curiosity takes control, and he finds himself trapped! Will he ever make it back to the Creator? Will he ever be found? Who was that watching him from the darkness? Find out how an old Christmas ornament, a broken ribbon, and a cloud of dust bring to life a story of the Creator, His Son, and a lesson in purpose and self-worth. Visit my feedback page to read sample reviews from Amazon. I invite you to download the sample MP3 file to the right. The sample includes the first 2:00 minutes of chapter one and is an excellent way to hear the great narration and beautiful music included in the new audio version of the book. I recommend using headphones or speakers other than those on a laptop or phone when listening to the sample audio file. My favorite printed version of the story!. Each of the beautifully borderred pages of the story is mirrored on the right by elarged versions of the illustrations. See everything in full detail. 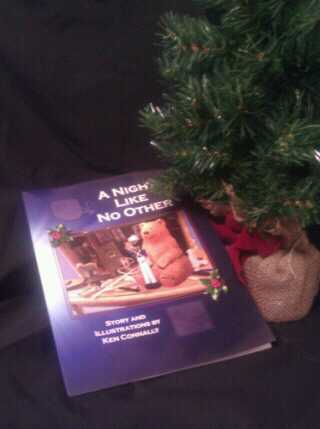 This hard cover version of "A Night Like No Other" makes a gift that will last a lifetime, and will remain a keepsake bringing back memories of storytime. Pairing the hard cover book with the audio book allows younger readers to follow the story as they hear the words, building reading skills for the years to come. Available on Amazon.com, the book measures 8 1/2" X 11" and is 60 pages in length. The book usually ships in 3 to 5 days and can take up to a week for delivery. Please allow up to two weeks for delivery during the busy holiday season. Signed copies of this book are available directly from the author. Please use the Contact page to get more information on pricing and shipping costs for signed copies. 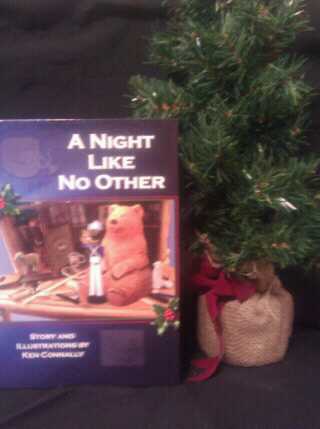 This paperback version of "A Night Like No Other" makes a great, inexpensive gift for friends and family. Share the love and hope of the Creator with more of the ones you love. Pairing the paperback book with the audio book allows younger readers to follow the story as they hear the words, building reading skills for the years to come. Available on Amazon.com, the book measures 8 1/2" X 11" and is 32 pages in length. The book usually ships in 3 to 5 days and can take up to a week for delivery. Please allow up to two weeks for delivery during the busy holiday season. A great way to curl up under the blanket on a cold winter evening and spend some time reminding yourself how much you are loved by God. 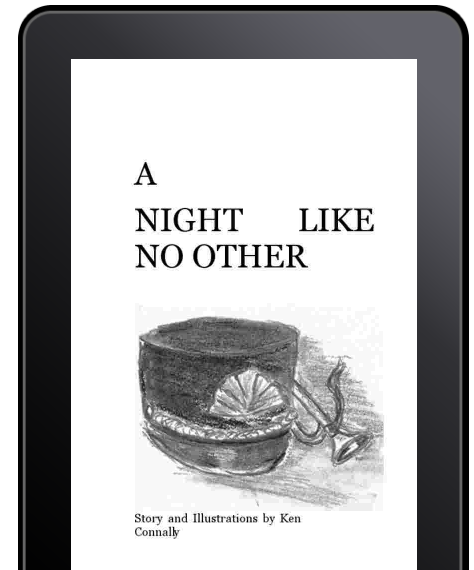 The Kindle E-book version of "A Night Like No Other" is the least expensive way to experience and enjoy the story. Due to the complexitiy of creating the Kindle file, this version of the story does not contain the illustrations available in the printed versions of the book. The audio version of my story was just added as an available opion this year(2013). The audiobook was professionally mastered at Perfect Pitch studios in Austin Texas. The narration was done by David Precopia. David has been acting on television and in film for many years. The BEAUTIFUL accompanying music was composed and performed by Richard Bowling. Richard has created music for several movies and is well known in his field. 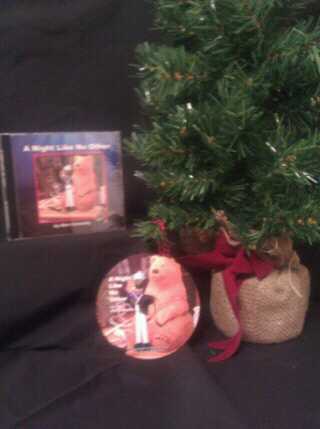 The narrated story, and soothing accompanying music makes a perfect bedtime / storytime companion. Pair the audio-CD with the paperback or hard cover version of the book and give younger children the ability to listen to the story as they follow along with the words on the pages. Standard audio-CD format should play easily on any device. Playtime is approximately 19 minutes. The audio version of my story was just added as an available option this year(2013). The audiobook was professionally mastered at Perfect Pitch studios in Austin Texas. The narration was done by David Precopia. David has been acting on television and in film for many years. The BEAUTIFUL accompanying music was composed and performed by Richard Bowling. Richard has created music for several movies and is well known in his field. Below I've included a few sample sections of the story. These excerpts are from random points of the book and not a sequential section of the story. I just wanted to give the reader a sample and feel for the style of the writing. If you have any concerns, be sure to contact me. I will be more than happy to answer any questoins you may have. in a time so long, long ago. A far away land. One I’ve never seen. What’s its name? I don’t think I know..."
astounded at what they did see. in wonder of all that could be..."
“...Only One knows why we come to this place. The One who has formed us this way. “For each of us here is made with intent. Made perfect the day He began.